It is back by popular demand. Bigger and better than ever, but still the handy pocket-sized shape. Yes, it is the new JMS product brochure. The all-new printed booklet is packed full of powered access equipment which can also be viewed on our website. Many new machines have been added to our handy comprehensive guide, reflecting JMS’s significant investment to expand the hire fleet in 2017. 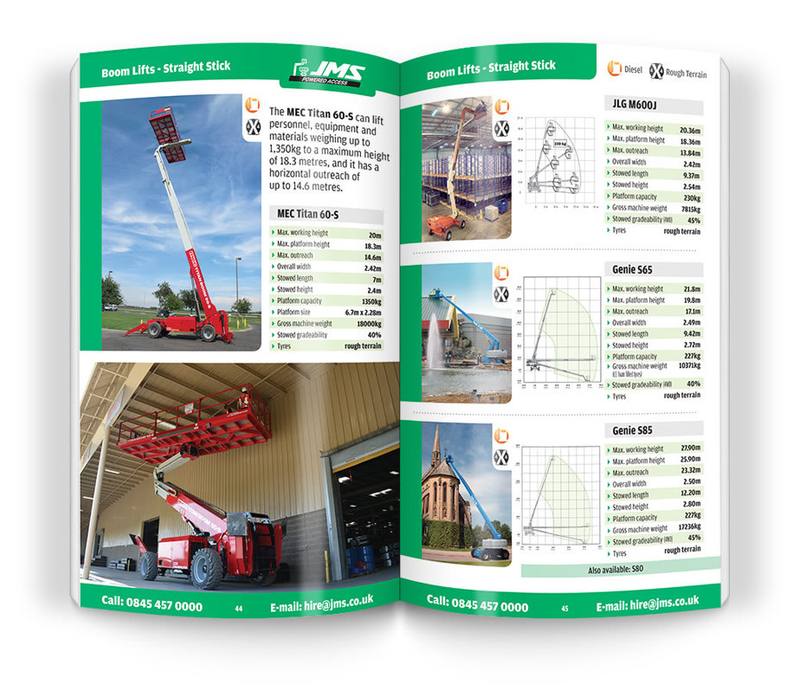 JMS Managing Director Mark Jackson said: “Our pocket guide to JMS equipment is still very popular with customers because they can quickly flip through it while on the go and find the machine they need. We’ve made sure it contained all the information needed to make an informed hire decision. Get your copy of the new JMS pocket size brochure. All new products – and there are 24 of them are highlighted. They include the MEC Titan Boom 60S, the JLG 1500 AJP boom, and many more. Specifications are included for each access machine, including maximum working heights, platform heights, capacity, and gross weight. Most measurements are shown as metric. A handy conversion table allows you to convert from metric to feet and inches. Our powered access hire criteria check list helps you and your team select the right machine for the working at height task you want to complete. Size graphs show each machine’s working height and operating envelope, helping you select the right equipment for the working space available. It is easy to use, with just about everything you need to make an informed choice in one document. Think of it as being all our expertise concentrated into one easy-to-understand guide. Icons give details of key attributes of each machine listed, including power source, terrain suitability, transmission, and wind rating. Information about JMS training courses is included, including IPAF-accredited operator training, and first aid. There is a full portfolio to choose from. Safety is an absolute priority for us and our customers. The booklet has a page of useful safety advice, including material handling accessories, secondary guarding, and other personnel safety equipment. By selecting equipment from our brochure, you will be accessing JMS’s innovative and industry-leading service. Giving you quick, simple, and stress-free access hire. 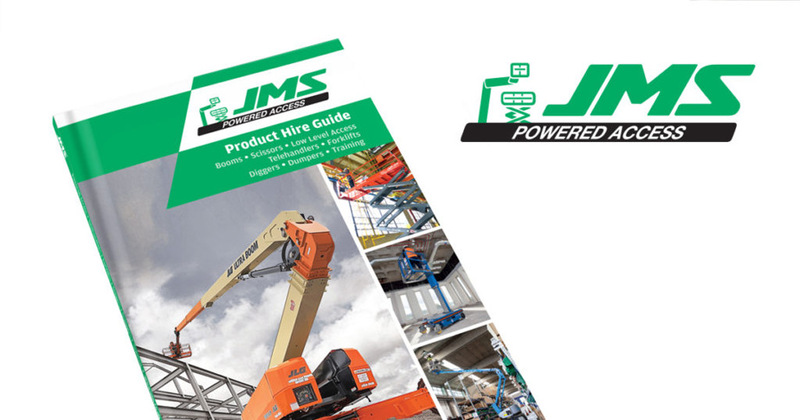 A closer look at the JMS Product Hire Guide. The brochure showcases machines from the world’s best manufacturers, such as JLG, Genie, Haulotte, Skyjack, Hinowa and Teupen. Whether you need low-level platforms, super booms, scissor lifts, or telehandlers, they are all included. As well as other plant hire equipment, including diggers and dumpers. If you would like to get your hands on our new printed brochure, call JMS on 0845 457 0000. Or view the online product guide here.